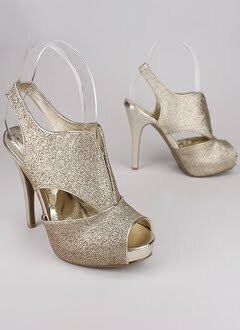 Steve Madden's Snobbie gold glitter pumps retail for $109.95 at the Steve Madden website. Go Jane has an identical shoe which retails for a much lower $26.70! You can purchase this great look 4 less option by clicking HERE. Could you post some looks featuring the Go Jane shoes? I love them, I just don't know how to incorporate them into the office? Sarah - To be honest, I don't really feel as though they are office appropriate due to the glitter (although somewhat subtle). I would probably keep them for the weekend or special occasions if it were me. Come by and enter my giveaway for a See by Chloe tote bag if you like!